Search the Greater Tyler MLS below. Receive updates on the changing market with your saved search criteria notifying you of changes in status and receive new photos as they may apply to your search. 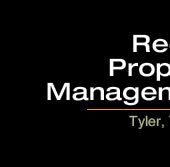 Whether you are buying a new home or selling your current home I am ready to assist you in the process. If you would like to see the below information displayed in full screen browser mode, click here.